24th July 1991 - this date should be hailed as the Second independence Day for India. On this date, Dr Manmohan Singh presented his first budget and officially inaugurated the process of economic liberalization. Equally, if not more important, was the announcement of a new Industrial Policy on the same date by the then Prime Minister P V Narasimha Rao. Both the announcements paved the way for end of license-permit Raj in the country and opened up the pent-up economic energy of the country. This date of course marks both the culmination of a desperate attempt to save the country from default and the beginning of the economic reform process. When Dr Singh rose to present his first budget at 5 PM on that date, there was no mobile phone (you were lucky if you had a residential phone and more importantly if it worked) or a single shopping mall in the country. There was no cable TV, packaged drinking water, Coke, Pepsi or Pizza Hut. There was no ATM, credit card, no NSE and Infosys was yet to be listed. I was in high school then and it was very difficult for us to imagine that one day we would be having personal computers at home, highest level of information access (in Calcutta) was British Council Library, and foreign vacation was unimaginable. Our maximum ambition was to crack engineering or medical entrance exam and to see India winning cricket world cup again. Previous few years were disastrous for India – two Prime Ministers were killed between 1984 and 1991. First V P Singh’s campaign against Bofors and corruption shook the Congress and altered the political equation in the country and then came Mandal and Mandir – society was polarized along caste and communal lines like never before. Added to it was the political instability – V.P. Singh government made way for Chandrasekhar-led another third front experiment, which barely lasted a few months. In the summer of 1991, when Congress looked almost set to regain power, Rajiv Gandhi was brutally assassinated. Elections were rescheduled and a new Congress government – though minority in the House – was formed under Narasimha Rao. Brought back from retirement to lead the party and the country, he sprung a surprise by naming Manmohan Singh as his Finance Minister. After serving in almost all the top posts in economic administration – Chief Economic Advisor, Secretary, Deputy Chairperson Planning Commission, RBI Governor, Dr Singh was heading University Grants Commission at that time. It is now widely believed that Rao’s first choice was another veteran economic administrator - Dr I G Patel, who was the Director of London School of Economics at that time. After Patel declined the offer, the choice fell on Manmohan Singh. Policy makers led by the Finance Minister in the Chandrasekhar government, Yashwant Sinha were working overtime in previous few months to ensure that there was no default for the country. Through their desperate efforts they could manage some loans and then Sinha took the bold step of shipping out gold to raise money abroad. Yet on 24th July, India had forex of just $ 1.2 billion - enough for less than three weeks. And India’s GDP size was just under 300 billion dollars. Just to compare – today our forex reserve itself is around 300 billion dollars and GDP is around 1.3 trillion dollars. Immediately after taking over as the Finance Minister, Dr Singh had to pledge more gold and then in two installments devalued Rupee by 20 per cent. Along with abolishing license raj and opening up export-import, India also opted for IMF’s Structural Adjustment Programme. From 1991 to 1994, in all the Budget and policy announcements, Dr Singh and Commerce Minister P Chidambaram tore away the entire fabric of control economy. For businessmen, who literally spent their lifetime at New Delhi’s Udyog Bhavan to get one license, it was unbelievable that they do not need to even apply for one. All these sparked tremendous reaction both from the Left and the Right. Also there were strong critics within the Congress Party and among the well-entrenched Indian business groups. 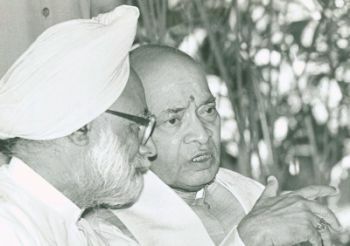 It was Narasimha Rao, who withstood all the pressure and provided unstinted support to his Finance Minister and Commerce Minister – both lacking any political clout. In next two decades, both the Right and grudgingly, even the Left would embrace Reform. Many would argue that more substantial reforms have taken place under the Third Front governments (1996-98) and NDA government (1998-2004) than the subsequent Congress-led government. Similarly it would not be wrong to argue that today’s robust growth is more inspite of the government than due to the government. Once the shackles were removed, then the entrepreneurial spirit and business acumen of Indians drove the economy faster and faster. And indeed today’s bottlenecks – infrastructure, social development, labour reform - are more due to the inefficiency of the government than any other factor. Reform has shaken this ancient civilization out of its decades-old slumber. 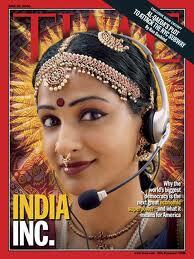 Now India, along with China is one of the power houses of growth for the global economy. Despite its obvious limitations, reform has changed not only the economy but also the society and relationship in this country. India – a nation of Maharajahs and snake-charmers is today mentioned more in terms of its economic and intellectual prowess. Apart from the people, who lived through this incredible revolution it is difficult to understand how almost everything around us stands thoroughly transformed today. For individuals at the helm of affairs, it has been a different journey – right from Sriranga Purushottam Shukla (1991) to Ashok Chawla - we have been fortunate to have a series of brilliant bureaucrats as the Finance Secretary. After playing their stipulated innings, most of them have faded out of public life. On the other hand, the group of economist- technocrats, which played the most crucial role in changing the course of Indian economy right from 1991, is still mostly around. Apart from Dr Singh, other luminaries in this group include Montek Singh Ahluwalia (Commerce Secretary in 1991), Rakesh Mohan (Advisor in the Industry Ministry), C Rangarajan (soon to become RBI Guv) and a series of economic advisors – Deepak Nayyar, Arvind VIrmani, Shankar Acharya, Ashok Desai, Ashok Lahiri. It is a tribute to their capabilities that under their stewardship, not only the basic structure of Indian economy underwent a revolutionary change but India also emerged from regional or global crises like East Asian Crisis of late nineties or recent sub-prime crisis almost unscathed. Two main actors in 1991 were Manmohan Singh and Narasimha Rao. Contemporary history has treated them very differently – Rao – a visionary Prime Minister – got embroiled in a series of controversies and his political life ended in sad humiliation. Manmohan Singh – the technocrat-politician – has been hailed as the mascot of liberalization by the media and middle class. 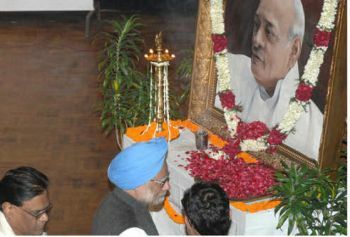 Dr Singh rose to become the Prime Minister in 2004 – even though many would argue that he is the first appointed and not elected, Prime Minister of this country. As Prime Minister he steered the nation towards a new foreign policy but has long lost his reformist zeal. I do not know how history will remember him but looking at 20-something people of this country, I know for sure, this country has changed forever and it does not really matter which party is in power or who is the Finance Minister – Indian middle class today more or less can decide their future themselves – two decades down the line, perhaps that is the greatest legacy of the Reform. Though open economy has helped to lift more people out of poverty in last two decades than in previous four decades of socialism, sadly, the super highway of growth has not yet reached the poor. Superb! Andy, you have sketched the progress through the road of reforms so well that going down memory lane was a rather pleasant experience as nowadays I am afraid to even look back..Keep it up! !